When it comes to needing assistance getting the data from hard drives that are no longer showing up I’d like to point readers to most of the posts in this blog. Here are some of the newest enquiries. I have a SanDisk Ultra 16GB SD card which just stopped working in camera whilst on holiday. It’s not physically damaged but is not recognised when inserted into camera or laptop. It has around 1500 photos on it and have just tried a local computer shop who tried a recovery program without success. I wonder if this is something you can help me with. I sent off the laptop to Kroll data recovery and they have charged my £599 for just pure recovery plus add ons, the apparent problem with my laptop is media corruption they have said they can recover around 70-90% of the data on there. The laptop is a Hitachi make. 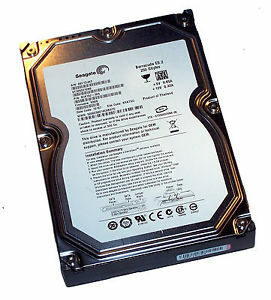 The drive is a Hitachi 1TB 3.5″ HDD drive (It has been opened). It is making a Click, Click, Beep noise repeatedly. The data on the drive that we would like to recover is Photographs and that is about all, anything else would be a bonus although none of it is critical our budget is about £100. External HDD was dropped. Makes a whirring and scratching noise. I opened up the external hdd but the arms were in te rigt position. Can you give me a rough idea of how much it would cost to retrieve our data, if it is possible. Has a lot of music, photos and documents we need. I am outside the UK, in Italy, at the moment but move back to UK permanently in September. I need a donor back plate board to get my drive up and running, mine is burnt out I believe.